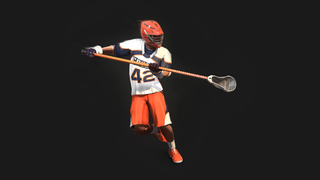 Could LAX bros finally be getting their own Madden or FIFA-level lacrosse video game? Could LAX bros finally be getting their own Madden or FIFA-level lacrosse video game? Simon Parkin documented one game developer's tireless quest to make a hit game based on his favorite sport in an excellent piece for Eurogamer. It's well worth your time regardless of whether or not you're a Lacrosse fan.